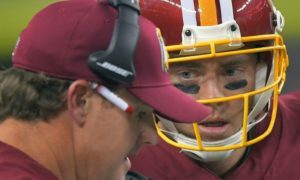 When QB Colt McCoy went down with another devastating injury to the quarterback position, the Redskins playoff hopes went with him into the dressing room and never returned. The two game division lead evaporated before everyone’s eyes last week and now supporters witnessed the complete unraveling of the season on another agonizing Monday Night Football affair. QB Mark Sanchez will now captain this sinking ship with about as much knowledge as one can have when he was brought on 3 weeks ago. He’s doomed to say the least. If he’s seen what has happened to the other two QBs before him he should be afraid. Very afraid. If Sanchez knows whats good for him he’d just perfect handing the ball off to RB Adrian Peterson every play as that outcome is certainly better than anything he could accomplish on his own. The good news in all this terrible bad news, is that Bruce Allen‘s tenure with the team due to his inexplicable move to acquire a clearly troubled linebacker Ruben Foster and the overall lack of depth on the Redskins roster showcase Allen’s ineptitude. He should be fired as soon as the season is over, if not sooner. The other good news is that Jay Gruden is probably coaching his last season with the team and should not be retained. Excluding the one season he made the playoffs he’s been a mediocre coach who does not have enough skills to overcomes many challenges. He does not make adequate enough adjustments during halftime and his player’s coach mentality has only endeared him to his players but not made them run through a brick wall or push them to find their highest potential. He was given adequate chances and even with all the injuries. He has been too erratic and inconsistent. His record in the month of December where games matter a little bit more is .500, and he should be fired as soon as the season is over, if not sooner. 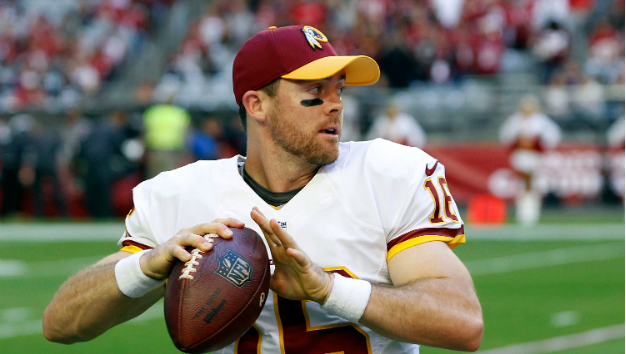 The Redskins will also be looking for an entirely new offense. The wide receivers are garbage. The offensive line has under performed and is injury prone. The tight ends are unproductive and unresponsive. The only stand out is, what a 33 year old running back who can’t have but maybe, 1 more year left on his legs and body? The defense also has its litany of problems but at least they improved from previous seasons. 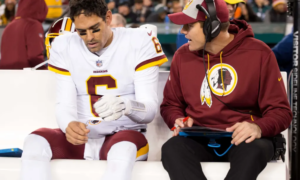 Poor tackling and being out schemed by most teams also gives the Redskins a chance to get rid of Greg Manusky and start fresh with a more qualified defensive coordinator when a new coach is brought in. Jay Gruden said this was the season to showcase what they were made of and it is just been more of the same. 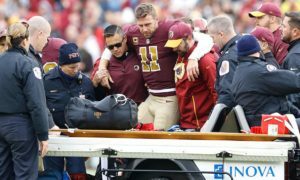 The Redskins are not only injury prone they are a wounded organization that needs an entire regime change. A three game losing streak is enough evidence for most fans to see this change is absolutely necessary.